If you happen to own a Nokia 5, then chances are you're being affected by a strange issue that prevents the smartphone from opening the Dolby Equalizer settings from certain music apps. 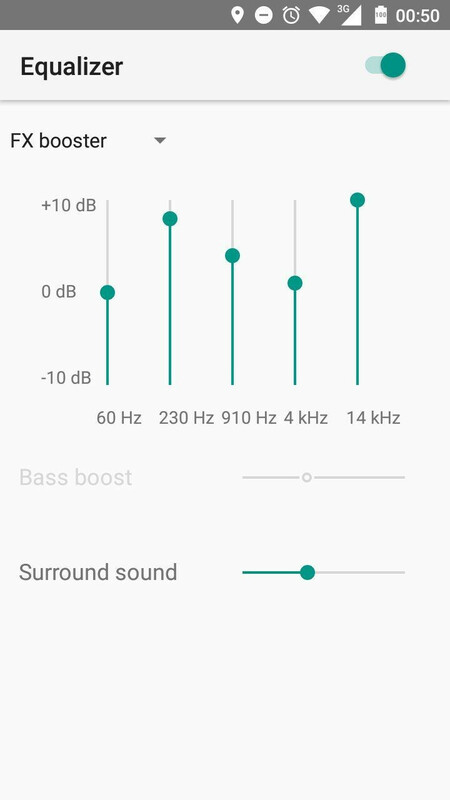 Many Nokia 5 users have noticed that when they try to open the Equalizer app from Google Play Music or Spotify, they get a white screen instead of the audio settings. Although Dolby Equalizer does work when not specifically opened from those two apps (maybe others too), HMD Global has already acknowledged the problem and said they are already working on a fix. For those who would still want to be able to use Dolby surround sound on their Nokia 5, there are many third-party apps in the Google Play Store that should work just fine until HMD addresses the problem. Obviously, this is just a small bug that shouldn't prevent anyone who likes the Nokia 5 from buying it. It's also nice to know that HMD is quickly patching any software issues found by users. Great to see HMD/Nokia owning the issue so quickly and working on a fix for it, as opposed to blaming it on user error. Kudos to you for that, HMD/Nokia. No one said anything about user error here. I never said anyone did. Nice try, though. Stop deflecting. You know what you were saying. Stop attacking me because you think I offended your deity. I love the new trio of Nokias... Affordable Nexus, I'd say, with ZERO bloatware. Unfortunately, Google like buttery smooth optimization just isn't there, which is sad, really. The Nokia 6 somehow TERRIBLY lags. Some may point at its chipset, but I've seen SD430 Smartphones running smoothly, like Oppo A57. So, it's definitely a software optimization problem... Oh well, G'Day! I guess everyone's definition of lag is relative, but I would have thought the Nokia's would not have been so laggy, given they are running stock Android on Qualcomm 64-bit silicon (the 5 and 6, at least). I have not been particularly impressed by what I have seen of them so far, and that is a real shame. I wanted to like the Nokia brand again so badly, but I just can't get into it these days. I am hoping that the Moto E4 comes to my carrier, as that device got a far better review than the Nokia 3, and if it does not I have a few options that are less enticing, but will do in a pinch.